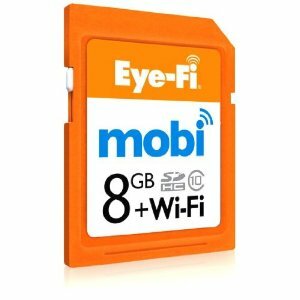 Eye-Fi, the mobile leader in wireless memory cards, is launching Eye-Fi labs, which is a platform allowing customers to demo and test new technology from Eye-Fi. 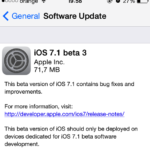 Mobile apps and beta products are a few things that Eye-Fi Labs will host them before they become publicly available. The company announced a Windows desktop receiver last month and today they have launched a beta for the Mac. Now the Eye-Fi Mobi card will be able to wirelessly transfer content directly to Windows and Macintosh computers. The company will be demoing their new card and features at CES this week. – Simple setup: Once installed, simply enter the Mobi card’s unique 10-digit activation code, and your computer is paired. Use the same activation code to pair with multiple desktops and mobile devices as needed. – Transfer anywhere: Built-in WiFi means no more WiFi network, hotspot or home Internet connection needed for pairing or transfer; Mobi transfers photos from a camera to the intended device anywhere, whenever new content is detected. – Works with cameras users already know (and love): Mobi works in thousands of cameras, including hundreds of Eye-Fi connected cameras that have integrated Eye-Fi technology for improved usability. – Backs up automatically: Photos and videos transfer as they’re taken, so if anything happens to the camera, content is already safe on your mobile or desktop. The Mac beta and Windows desktop receiver can be downloaded from Eye-Fi Labs’ website.